God has something better and far more wonderful than anything you can imagine. 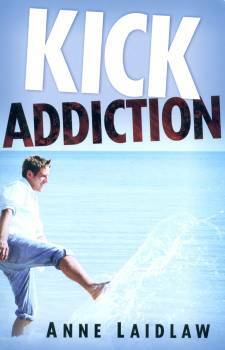 Are you ready to break free from your addiction and receive it? This easy-to-read book by New Zealand author and counsellor, Anne Laidlaw, will help you - or someone you love - find freedom from addiction by gaining strength from God. It is a pleasure to endorse Anne's new title. I highly favour guides that offer the truth of the Word of God to those who are willing to renew their minds to the Word, believe, and act accordingly. A masterly distillation of the truth needed to find freedom. Scriptural, practical, confrontational and releasing. Real truth to experience the freedom life God has prepared for all of us to walk in. Anne's passion is to see people released into their God given ministries, to walk in the freedom and revelation Christ died to give us all. She has a counseling practice in Auckland, New Zealand, supervises fellow counselors, runs emotional healing and 'Kick Addiction' groups, and speaks at conferences, retreats etc. She has a BA in Psychology, Dip in Teaching, Dip in Counseling, Cert. in Supervision and spends her spare time walking, snow skiing, writing, and with her friends and family.